So there are a LOT of pumpkin spice products out there. Like a LOT a LOT! And some of them are good – some of them are terrible. 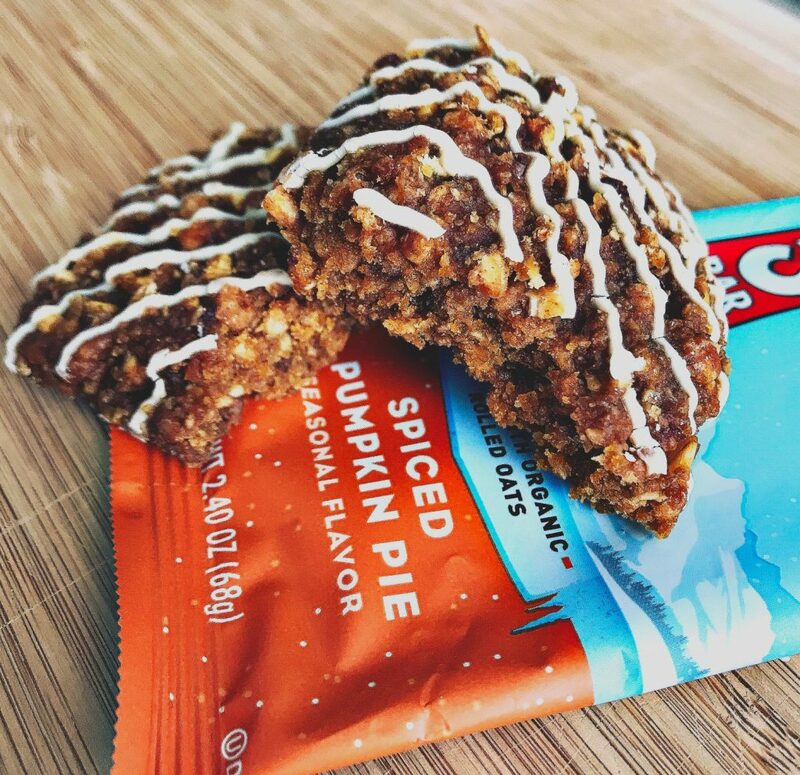 I’m not going to lie – when I see pumpkin spice themed food, I get excited. 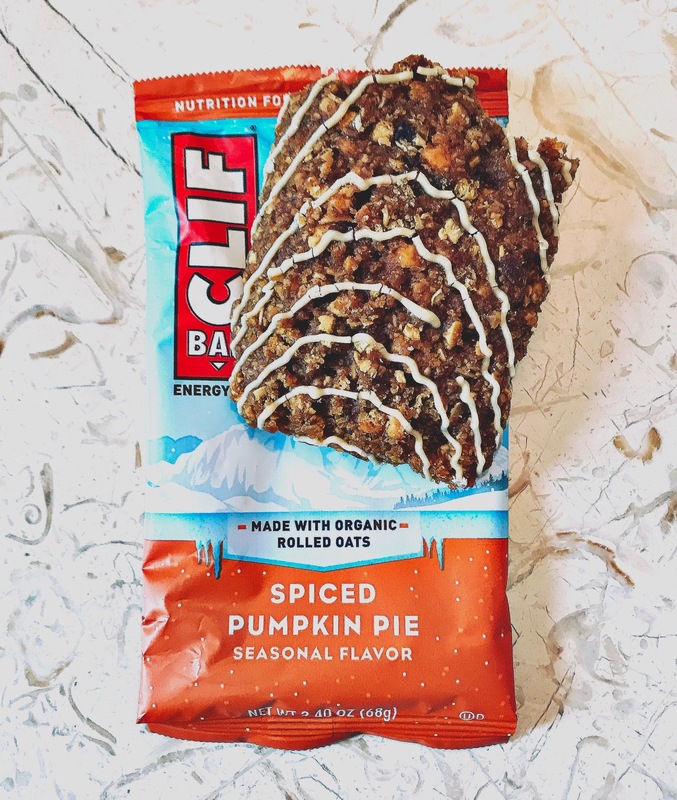 Then comes the thought process… “should this item really be flavored with pumpkin spice flavoring?” “How much of this pumpkin spice product can I really eat?” “Is it worth the buy to try?” When I first saw the new Spiced Pumpkin Pie Clif Bar at my local grocer, this was my exact thought process. OHH SPICED PUMPKIN PIE! 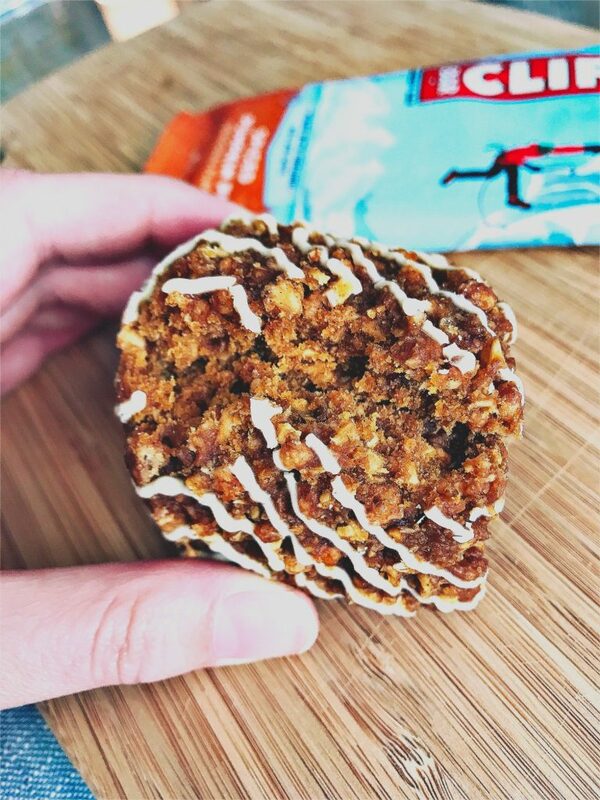 In a Clif Bar ? What’s the different between spiced pumpkin pie and pumpkin spice? Is there a difference? How MUCH pumpkin versus how much spice? I think I’d like more spice then pumpkin. Would a whole bar be too much pumpkin? Maybe. But, maybe not? Who knows! This is probably a waste of money… I have enough money for a dollar protein bar! Okay – heck, I’ll try it. 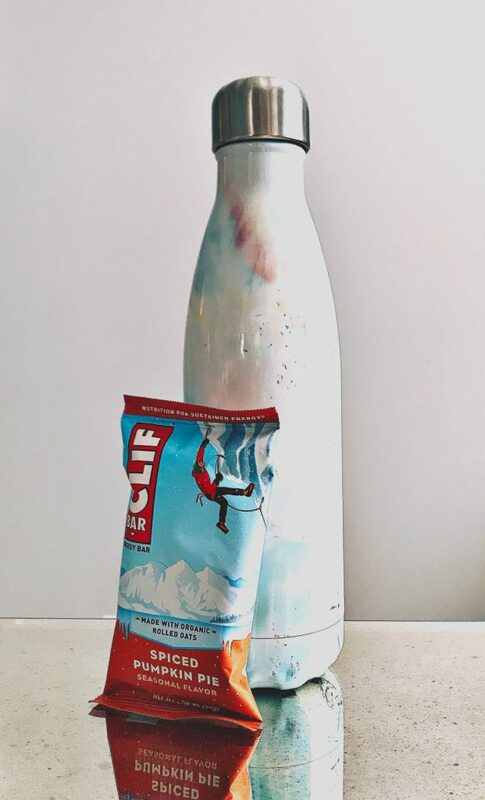 So I brought the Clif Bar home – and of course I had to try it right away. Duh… I was a little nervous because pumpkin spice products really can be overwhelming… and honestly sometimes gross. There are so many weird pumpkin products out there that you’re like really? Who thought of that. Cookies , dog treats , deoderent , beauty products , cereal – everyone is getting on the pumpkin bandwagon when Fall rolls around. 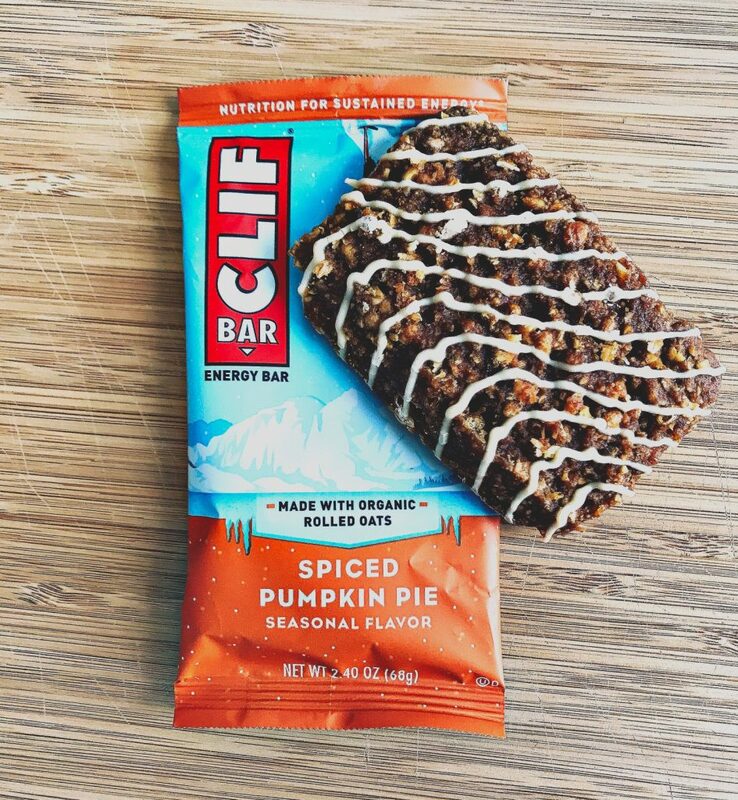 But, BACK TO THE SPICED PUMPKIN PIE CLIF BAR ! It’s pretty. I’ll give it that. The glaze is done nicely. Texture-wise, feels and looks like a normal Clif Bar. IT WAS GOOD! I actually really liked it. The pumpkin taste is definitely subtle – the spice more prominent. Is it my new favorite bar ever? Maybe not! But I would definitely buy it again as a treat! Now – despite all this, I feel the need to mention that Clif Bars are not necessarily the most dietetic or healthy nutrition bars out there. For example, this particular bar provides 9g of protein (not bad, but not great either) but also 23g of sugar (eek!). If you are consuming this bar to replace a meal, 23g of sugar is not so bad, however, 9g of protein probably will not hold you over very long. Long story short, I am not advising that this bar is the healthiest of choices. Nor am I suggesting you should go out and eat one every single day. 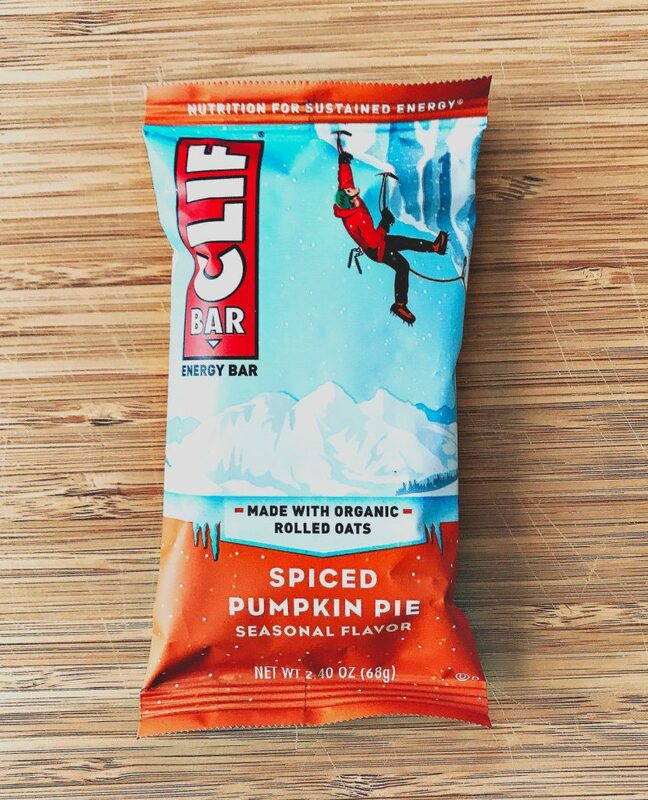 However, it was a fun find and I, personally, enjoyed the spiced pumpkin pie flavor – way to go Clif! 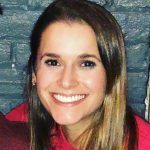 Love the idea of Food Find Friday? Check out my most recent post Food Find Fridays: Fig and Thyme Crisp Crackers.